Calling Crocheters For Our Third Annual Amigurumi Exhibition This December in NY! We’re calling all artists to join our third annual World Amigurumi Exhibition as the first two have been so successful! Our goal is to completely fill our gallery space with at least 3,000 amigurumi. We want to turn the gallery into an “amigurumi room”, filled to the brim with cuddly and cute! This is a unique exhibition in that it’s not displaying an individual artist, but a concept. The concept, amigurumi, is a culture that began in Japan, but is now cherished by crocheters all over the world. We were so inspired by the amount of amigurumi artists out there that we decided to embark on a journey to create an exhibition showcasing the united, global love of this cute craft! 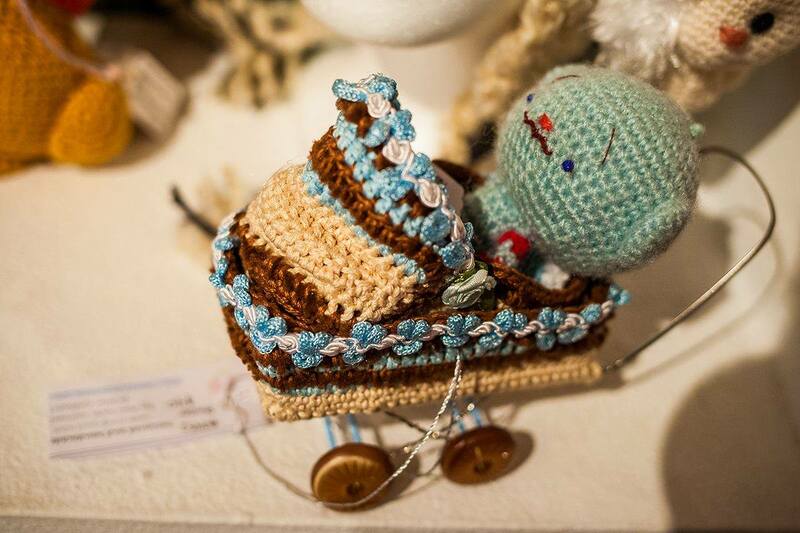 To make this a successful exhibit, we need amigurumi contributions from crocheters everywhere! Last year, we asked each artist to represent their area or country by crocheting amigurumi that symbolized their region and we were excited to receive all different kinds of amigurumi that created a small world in our space. This year, we would like to explore wider possibilities of amigurumi with the World Amigurumi Exhibition, not only with the unique shapes that many artists create with their own innovative ideas, but with unique materials as well. 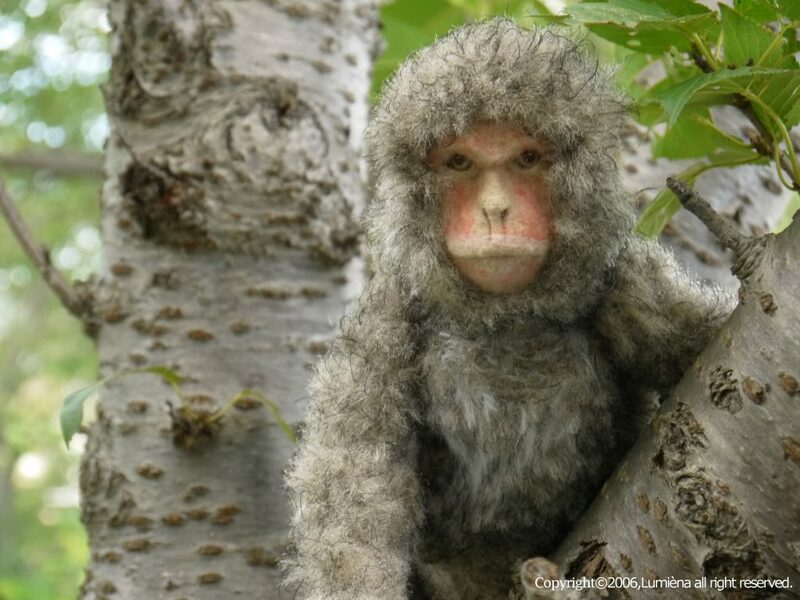 In Japan where amigurumi originated, there are now several various types of materials used to crochet the creatures. Many pieces are made of unconventional material, not just the yarn that is used as a basic material for amigurumi all over the world. To apply for the exhibition, we would like each participating artist to submit an idea of what kind of unique materials besides regular yarn that can be used to create a piece for our exhibition this year. Much like last year’s exhibition, at least one piece should match our theme: over 50% of the materials used in the piece must be non-regular straight yarn. 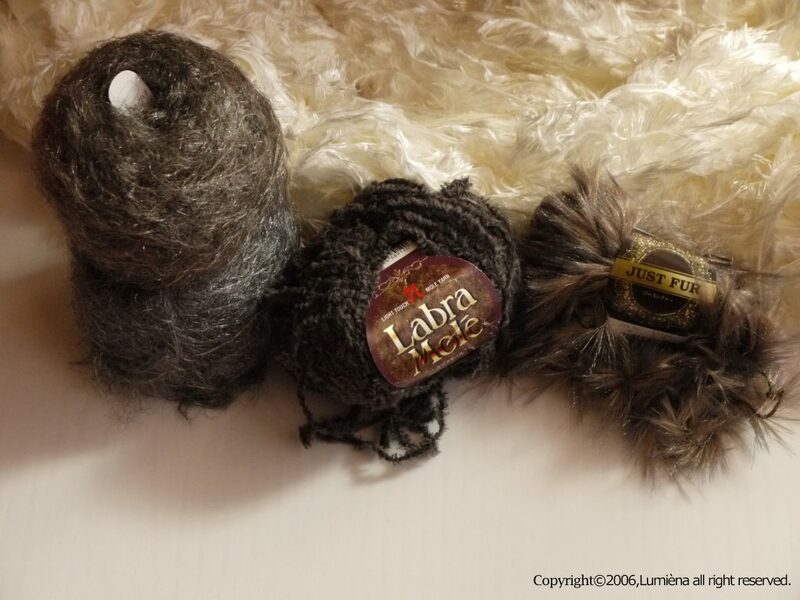 These materials can be fur yarn, a special type of yarn, wood, wire, aluminum, felted fabric, ceramic, glass, etc. We would absolutely love it if our artists could use a special kind of material that can be found only in the area they reside and also tell us the story behind it (like last year’s theme. Artists are not limited to this idea, however). Any other pieces submitted to the exhibition can be “free styled,” so artists have the option of sending us any kind of piece they want to show off in New York. Please be mindful when choosing materials as they will be shipped to the United States. There are a few items and materials that will not be allowed to be sent to our location. We ask that artists please describe what kind of themed piece they will make, specifying the materials that will be used. We are looking not only the quality of the pieces, but the distinctiveness of the pieces as well. As so, the more unique the material that is used, the more likely they will be accepted to the exhibition. It would be great if each artist can send us photos of the themed piece along with their application as well, but this suggestion is not mandatory. 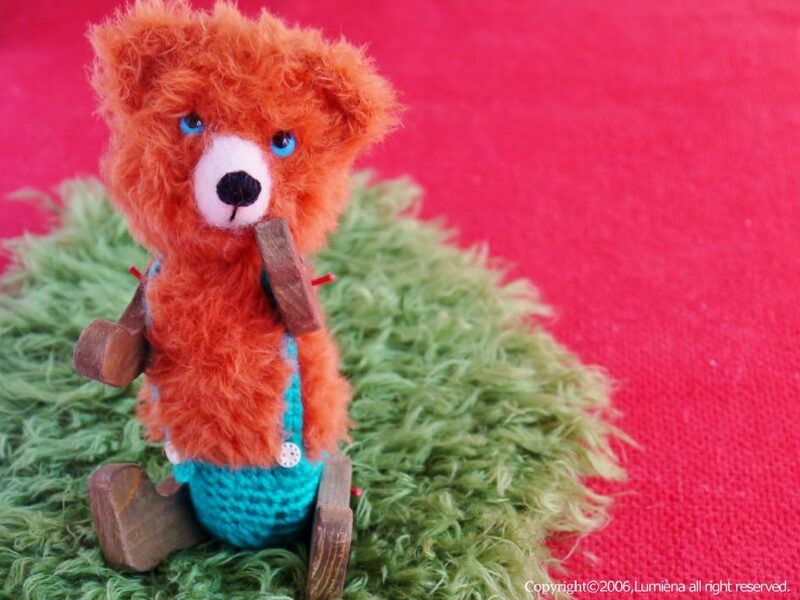 These amigurumi were made with unconventional resources by creative artists! Take these as pieces of inspiration for your own works! Made of yarn, wire, thread, plastic pieces and buttons. Made of yarn, wire, plastic pieces and buttons. Artists must submit a minimum of 10 amigurumi pieces. All pieces from the various contributing amigurumi artists will be for sale during the exhibition term. Artist retains ownership of all work consigned to or represented by RESOBOX Gallery. Each work should have a small loop (fishing line, thread, yarn, etc. is fine) and tag. The tag must include the following: a) artist/brand name; b) baby safe or not baby safe; c) Country (country flag image or country name) d) price; e) item number (RESOBOX will send this number in mid-October), and; f) any other information you want to include. **NOTE: Each artist who is participating MUST submit at least one amigurumi piece that is part of the exhibit theme. So, if you send us 50 pieces, at least 1 out of those 50 pieces must be made of a unique material and the rest of them can be free-style – whatever you want to exhibit. The artist must include a small loop and a tag on each piece. We will screen each artist and their theme through this form. Within one week after submission, we will get back to you if we will accept your submission. Do not submit the form more than once. We cannot reply to all emails, so if you don’t get our email within a week, please assume that we will not accept your amigurumi. 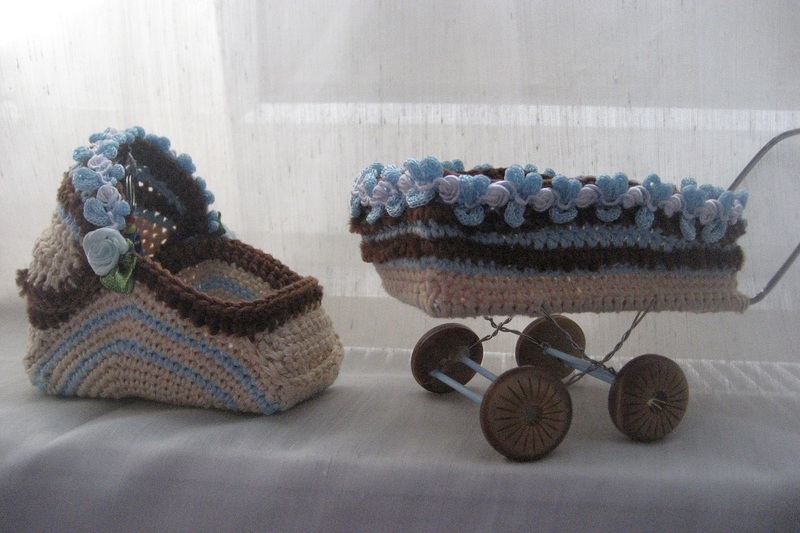 The artist is responsible for the transport of amigurumi pieces to and from the gallery, including any costs related thereto. Each artist can send up to 100 amigurumi pieces. All pieces must be for sale. All amigurumi must arrive by November 30th at RESOBOX Gallery. If your amigurumi does not arrive by November 30th, we can not guarantee it will be on display for the exhibit’s opening party. The artist should certify either that the pieces are his/her original pattern, or that the person who created the pattern has given them the right to sell that particular design (please check the original creator’s website). Retail sales prices: The prices for each piece will be established by the artist. If we feel a price is unreasonable, we will contact you to negotiate. If you do not hear from us, please assume your prices are okay. Commission when sale occurs: Commission varies depending on the number of pieces. Payment will be sent within 10 days after the end of the exhibition unless there is a special request by an artist. Please thoroughly read this section before emailing us with your questions. – Are you going to publish an article about this exhibition anywhere? Yes. We will create an English press release and deliver to as many media outlets as we can all over the world. Unfortunately, we can’t have all images of all artists’ works included in the press release, but will list all participating artists’ names and web pages on our website. ** We may ask each artist for some media contacts in your local area. – What type of amigurumi are you looking for? Please see the description of this year’s theme at the top of this page. Each artist must submit at least one amigurumi that over 50% of the materials used in the piece are non-regular straight yarn. **We WILL NOT accept any amigurumi based on licensed characters. If your pieces are based on licensed characters, we will not display it during the exhibit and we will send them back to you immediately. – I didn’t create the patterns for my pieces. Is that okay? Please check the original creator’s website. Normally, there are some comments explaining if you can sell the pieces based on their patterns. We will only accept works that are originals or have permission from the original creator. Please note again that amigurumi based on licensed characters WILL NOT be accepted and will be sent back to you. 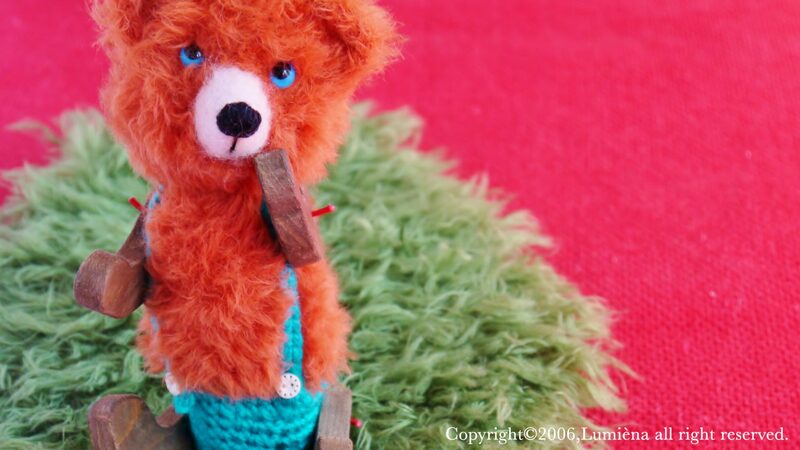 – If my amigurumi arrive at RESOBOX after the November 30th deadline because of a post delay, is that okay? If your pieces arrive after November 30th for any reason, we cannot guarantee they will be on display for the opening party (Friday, December 9th). In order to ensure that your amigurumi arrives on time, please ship your package(s) in a timely manner. The commission that the gallery takes varies depending on the number of pieces to be exhibited. 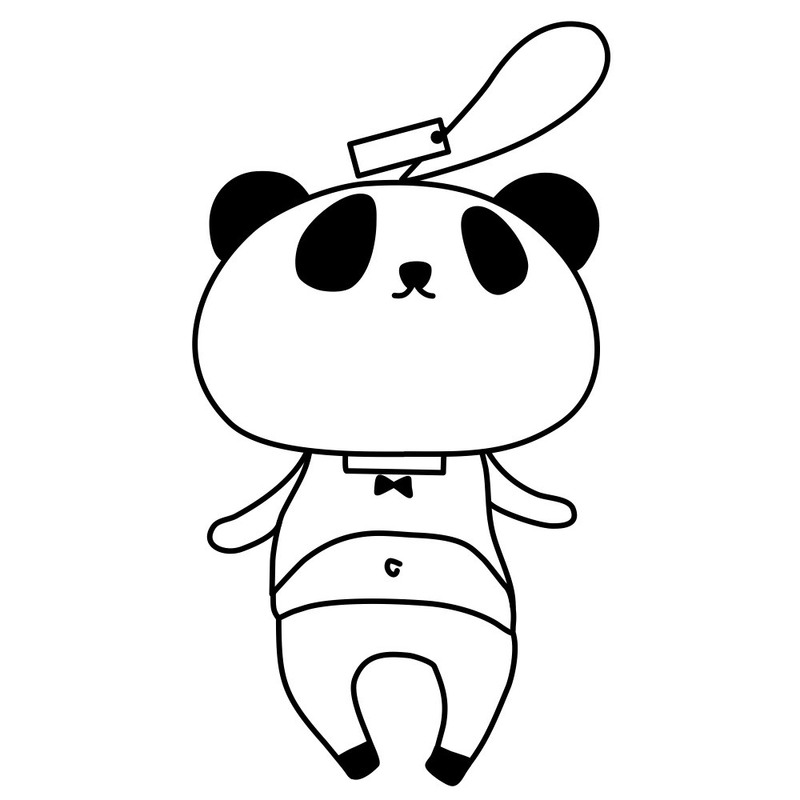 – May I send all the things for gift-wrapping the amigurumi (paper bag, ribbons, etc…)? Please do not send anything for gift-wrapping the amigurumi. We cannot accept custom gift-wrapping from each participant. Thank you for your understanding. – Can I include my own tag? – Who will bear the shipping and return shipping costs if my items aren’t sold? Artists are responsible for all shipping costs (to and from New York). Unsold pieces will be returned to you, or with your permission, donated to local kids’ organizations. The gallery will not buy your pieces. We will first calculate the cost of the shipping of your unsold pieces and the profit that you make during the exhibition. And then, if there is a surplus on your side, we will send the unsold pieces as well as the profit that you make to your account through PayPal or bank wire. If not, once we confirm the payment received from you, we will send unsold pieces back to you. You need to pay to us the cost of shipping from NY to your place. Once we confirm the payment received to our account from you, we will ship your unsold items back to you. – May I send the same character with a different color scheme? Do the pieces submitted all have to be different, or can they be duplicates of the same piece? Duplicates are okay whether they are the exact same or different colors/styles. – Is it possible to send business cards to go with the amigurumi to gain exposure? If you would like to send business cards, please attach them to your amigurumi. See the tag instructions above. – How will you establish the retail prices? – Will there be any kind of opening reception? Yes. We will have an opening party on Friday, December 9th at 7PM. If you can make it to New York, please join us! – Do you need a detailed list of all of the amigurumis I’m sending? And if so, what information should be on this list? 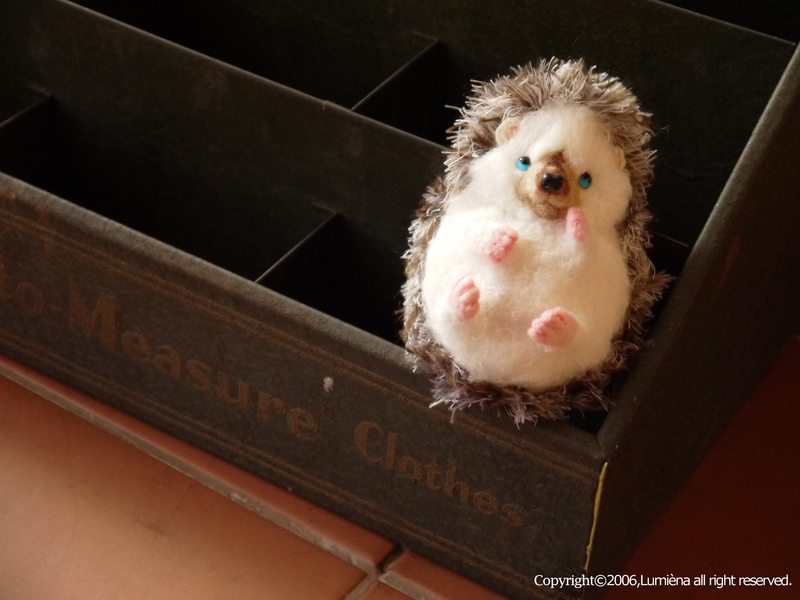 – Do you take full responsibility for the amigurumi stock during the exhibition? We cannot provide artists with compensation for lost/stolen items. However, reasonable efforts will be made to protect consigned artwork from accidental damage, breakage or lost items but insurance liability for accidental damage or breakage is not provided by the gallery.